The official launch of http://loveahappyending.com/ is here! Drop by the site and check out the authors. Lots of giveaways. At last count there were 73 books up for grabs. All you have to do is leave a comment on one of the author’s blogs to be entered into their draw. I’m thrilled to be an Associate Reader for http://loveahappyending.com/ and my authors – Joanna Lambert, Harry Leslie Smith and Chris Longmuir! Launch Day is almost here – the excitement is mounting! Tomorrow is launch day of loveahappyending.com! Check out this link http://loveahappyending.com/were-all-excited-come-and-see-why/and see what all the fuss is about. And do drop by tomorrow for the official launch. Having never read a memoir, I wasn’t sure what to expect. But from the moment I got involved with loveahappyending.com and selected my authors, I knew I would be a fan of the genre – at least this particular author’s account of his early years. Just from the brief blurbs on the loveahappyending.com/harry-leslie-smith/ author page, there was a parallel resonance between Harry’s life and my father’s, although comparing the two, my father’s life wasn’t nearly so tragic and poverty-stricken. In their later years, they both fought in Europe during WWII. It must have been extremely painful for Harry to be able to put his childhood on paper for all to see yet cathartic at the same time. It’s hard to imagine the type of childhood Harry experienced in 1920s and 1930s England. In that period, people did what that had to in order to survive, including digging through trash and stealing from others to obtain something to eat. His account of his father’s years of working in the mines until he could no longer work below ground to being pensioned off and shamed out of the family home because of the actions of his mother, who only did what she had to in order to ensure their survival (such as it was). 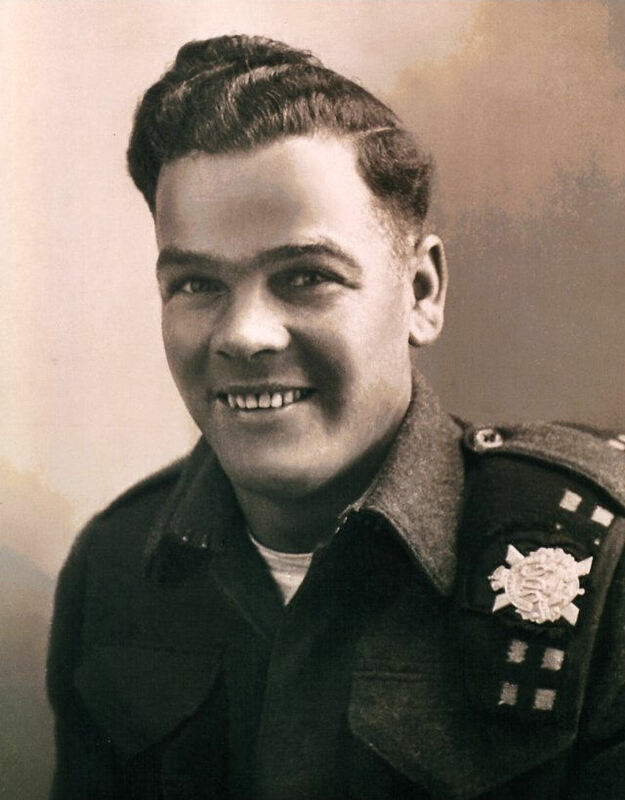 Even Harry’s mates and later his RAF comrades had no idea what he had been through as a child, ***spoiler here*** although I suspected it would tumble out when he pulled his rifle on a fellow serviceman. ***end spoiler***. Harry had invented a happy reasonaby normal family life for himself. Harry is quick to credit his older sister, Mary, for his survival. When she finally leaves home, he’s devastated. They remain close but it’s not the same. When he talks about corresponding with Mary after he’s enlisted with the RAF, you can feel the hurt in his words as he knows they’ve drifted apart. Harry’s keen wit and way with words make for an spell-binding rollercoaster ride of emotions from the lowest of low to the highest of high. He doesn’t pull any punches and is brutally honest when reliving his experiences. 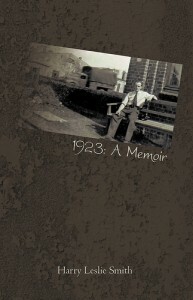 1923: A Memoir is available in Hardcover for $19.22 CDN and Paperback for $15.30 CDN from amazon.ca – in Hardcover for $24.28 US, Paperback for $16.46 US and for the Kindle for $1.19 US from amazon.com and through amazon.co.uk in Hardcover for £20.94, Paperback for £13.66 and for the Kindle for £0.83. There are two more chapters forthcoming in this series. 1947: A Place For The Heart To Kip and the final book, tentatively entitled 1953: Empress of Australia. After reading his first, I’ll definitely be purchasing the next two. I finished reading this fantastic story last night. I have to admit I’ve never read a memoir before so I wasn’t sure what to expect. I was enchanted from the first word. I’ll write my review and get it sent off to our Review Chair, Janice Horton at loveahappyending.com hopefully before the weekend is over. Chris’s first crime novel, Dead Wood, won the prestigious Dundee Book Prize in 2009. Her second, Night Watcher, was self-published on Amazon and Smashwords earlier this year. Since then, her saga A Salt Splashed Cradle has also been self-published. Both of these books flirted in the top 100 best sellers on Amazon and hopefully, with the support and buzz created through this exciting project, they’ll both be back there and higher than ever before! They might not always be “happily ever after” but even the premise of a couple beginning their life together can be a happy ending. What of the ending of a crime novel? The criminal is caught, the police have done their job. Not a happy ending in the strictest sense but a good resolution. And if you love reading crime fiction then that could be considered YOUR happy ending. And the most unsuspecting place I think you can find a happy ending is in the horror genre. Good triumphs over evil… how much happier can you get than that? Okay, I confess, I have some strange ideas when it comes to places to find happy endings. And as long as you feel good, satisfied at the outcome, and put a book away and not feel cheated… doesn’t that make a happy ending? After making the Father’s Day rounds – cemetery to leave flowers for my Dad, out to the house to deliver my step-Dad’s gift (which ended up being left between the doors because he wasn’t home), my husband and I walked from our house to the supermarket at the far end of the high street. After getting home from the writing workshop last night and catching up on other things, I hadn’t taken any meat out of the freezer for supper, and if we wanted to eat tonight, we had to go to the store. It was a gorgeous, sunny day and almost brutally hot if you weren’t in the shade. Unfortunately, I didn’t take the time to put a sensible pair of walking shoes on before we left. On our way back, when we got to our street, I slipped off my sandals and walked the rest of the way in my bare feet… except when I had to cross one street. The sun-kissed concrete sidewalk was hot enough on the bottoms of my wee tootsies. Happy Father’s Day to all the fathers, grandfathers and great-grandfathers out there! Sadly, I lost my Dad on April 29, 1969. He may not be with me anymore but he lives on in my heart. Brian’s How to Write a Bestseller workshop was fantastic! Like all his workshops I’ve attended, it was intense but presented in such a way that I wasn’t overloaded with information. I learned lots of tricks and tidbits that I can’t wait to try in my own writing. After the lunch break, Kelley Armstrong gave an interesting presentation from an author’s perspective and experiences. Again lots of good stuff, I can’t wait to try.